When choosing natural gas, there are many appliances to select from. Unlike other fuel sources, natural gas offers comfort, efficiency, lower operating costs and reliability. HIGH-EFFICIENCY FURNACE - Heat from a natural gas furnace or boiler feels warm and cozy. That's because the air is approximately 25 degrees warmer than the heat produced by an electric heat pump. 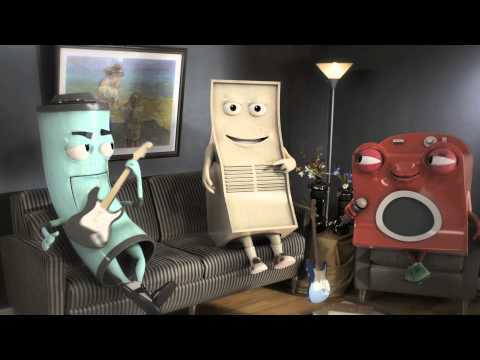 WATER HEATING - Natural gas water heaters heat water twice as fast as electric. That means you don't have to wait as long for the system to recover before you can use more hot water. 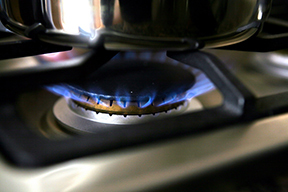 COOKING - The burners on your gas cooktop/stove turn on instantly and heat up faster than an electric range. The visible flame and instant on/off function are also an important safety feature for your family. CLOTHES DRYER - A natural gas dryer heats up faster than an electric one - and stays hot longer. This saves you both time and money. You can dry up to two loads of laundry with a gas dryer compared to drying one load with an electric dryer. HEARTH PRODUCTS - Natural gas hearth products offer simplicity, convenience, and efficiency that can't be beat. Once you try gas, you'll never go back to wood. OUTDOOR LIVING - Transform your backyard with a natural gas grill, outdoor fireplace, firepit, tiki torches and patio heaters. They will transform your backyard into a retreat and you never have to worry about running out of fuel. If you are looking to replace your furnace and need a contractor, visit the Heating and Cooling Contractors Association (HACCA) for a list of qualified contractors.